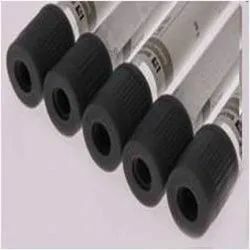 Our organization is a well-known manufacturer and exporter of Blood Collection Tubes products. Blood Collection Tubes of all the types are available to supply the laboratories. 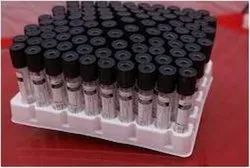 The Vacuum Blood Collection Tubes with the brand name Biovac apart from the Biopro Non Vacuum Blood Collection Tubes are manufactured with customized draw volumes for both Human and Veterinary Medical Testing Laboratories. The company with the additives of its own production can cater the customers accordingly to their requirement. We are offering our clients a variety of blood collection vacuum tubes. 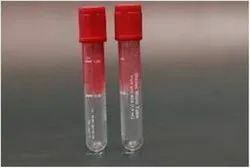 As name suggests these tubes are widely used for collecting blood samples in the medical industry. 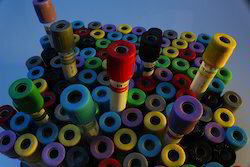 These tubes are manufactured using advanced machines and quality raw material. Tubes with 3.8% Sodium Citrate for ESR Studies. Sodium Fluoride Tubes with Potassium Oxalate, exclusive for Glucose Tests. Looking for Blood Collection Tubes ?